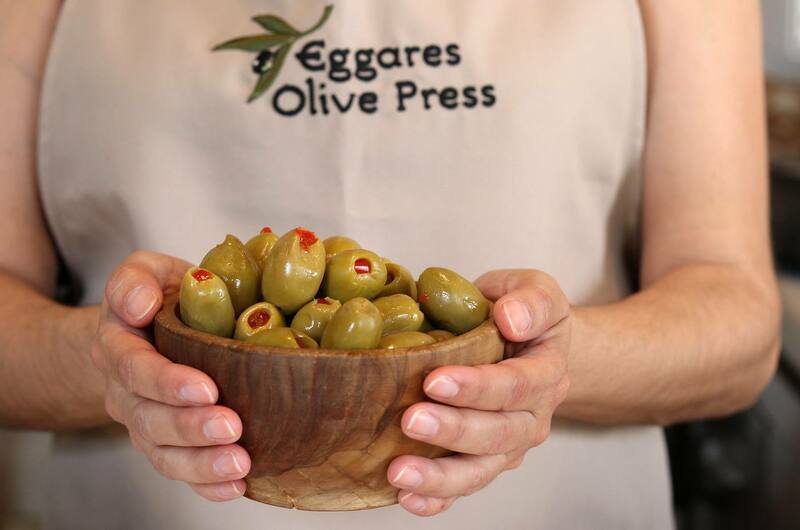 Welcome to the Eggares Olive Press, one of Naxos’s oldest remaining olive mills. 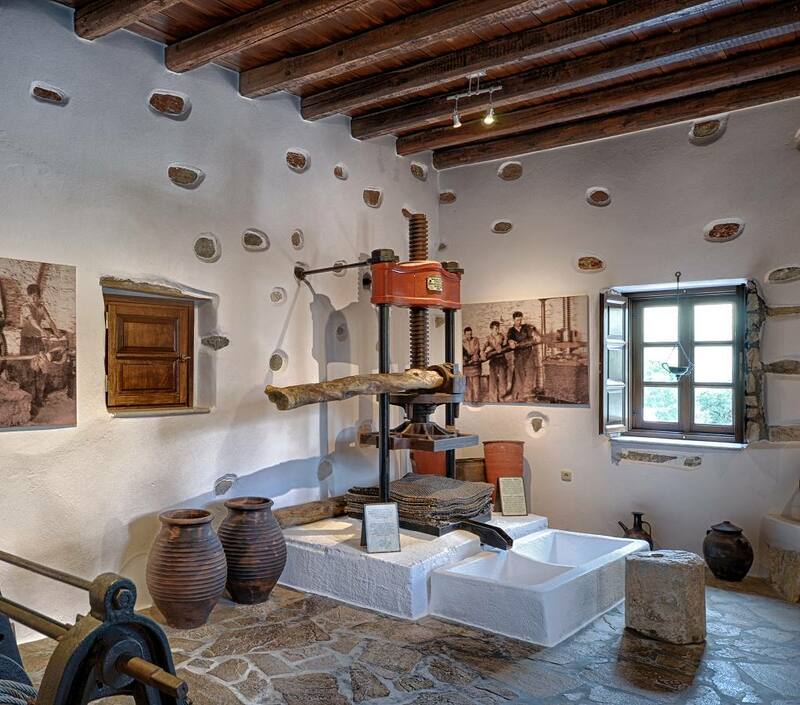 Recently renovated, the Eggares Olive Press dates back to, at least, the late 1800s when it pressed locally-grown olives for the village community. 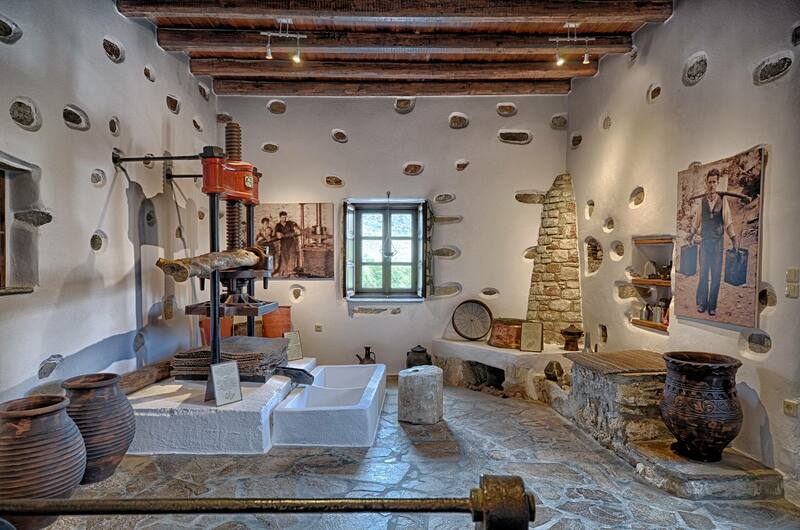 The olive press has been in the Lianos family (the owners) for at least five generations and was recently restored by the well known civil engineer Yiannis Protonotarios who also undertook the renovation of the surrounding property. Today, the original stone built structure has been elegantly refurbished to evoke a sense of tradition updated in a contemporary white Cycladic design. 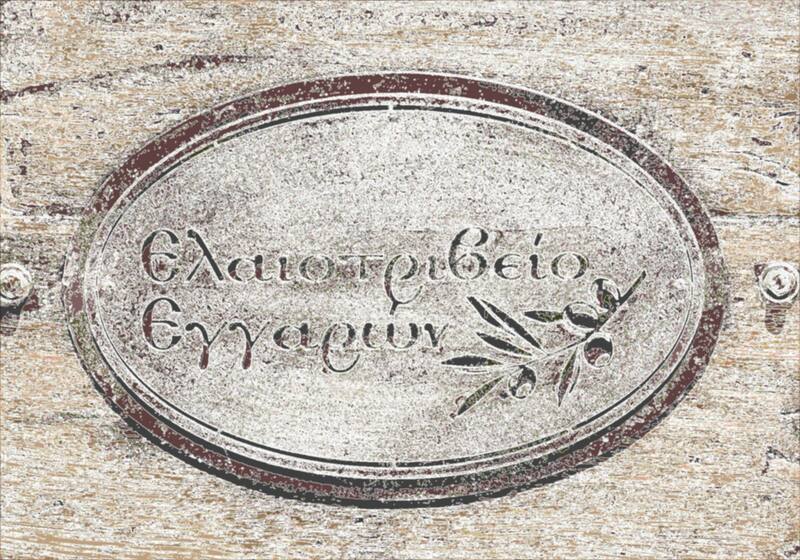 The Olive Press exhibition area features original production materials once used at the site. 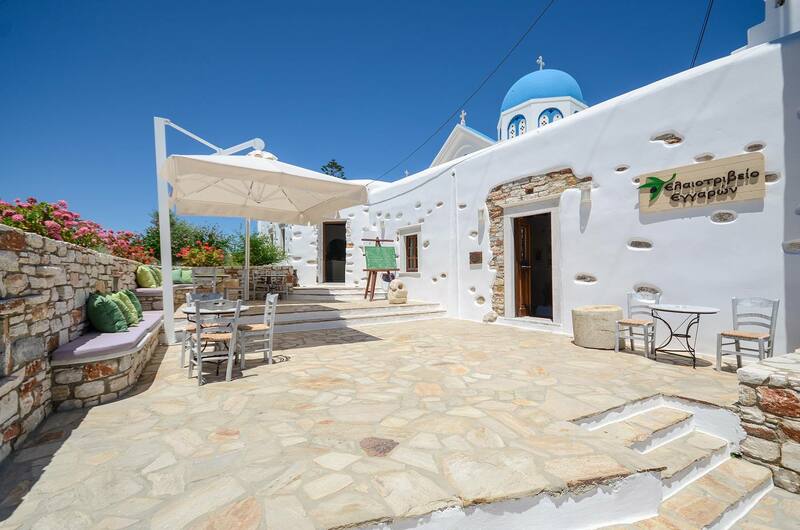 Here, visitors can enjoy a free tour and brief presentation of how olive oil was originally produced at that time. 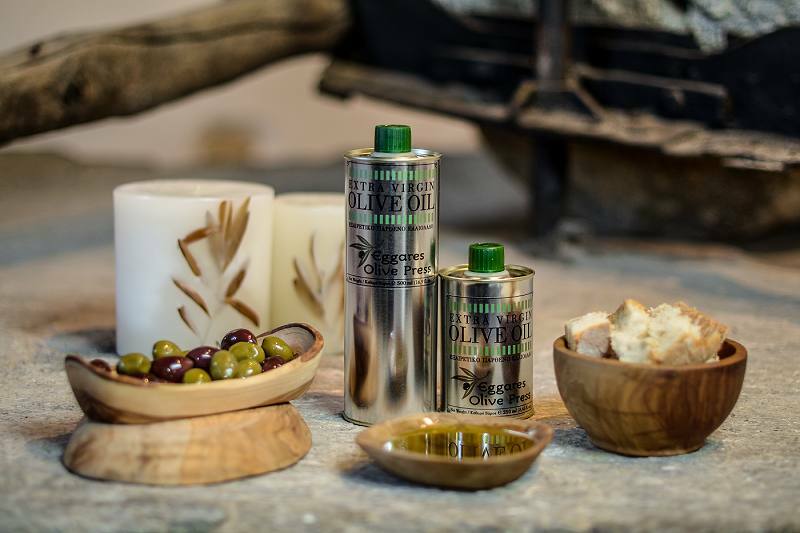 Adjoining the exhibition area is the olive shop 'nook' where olive tastings take place and a selection of olive oil product souvenirs are available. 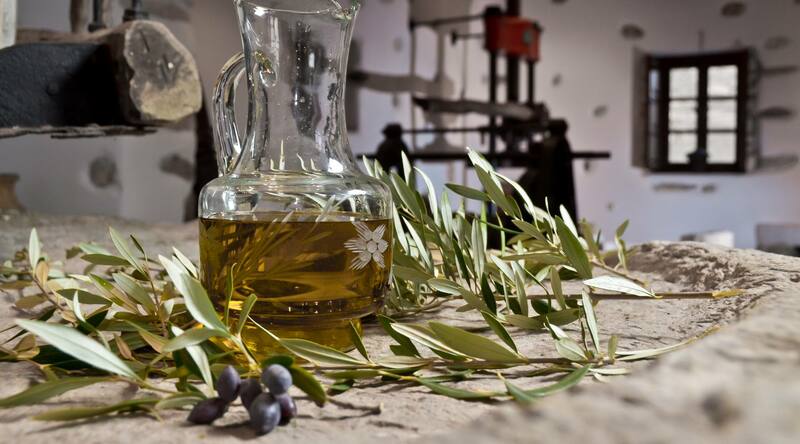 After the free tour visitors can enjoy complimentary tastings of a variety of infused olive oils and olive ingredient snacks, such as Mama's famously delicious olive bread, cake, cookies and more! The outdoor patio is a soothing place to sit back and relax and enjoy some local refreshments.